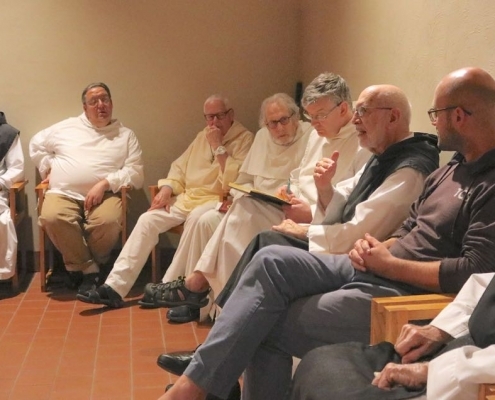 In the last week of October, a group of people from different religious traditions gathered at Mepkin to discuss the New Monasticism. 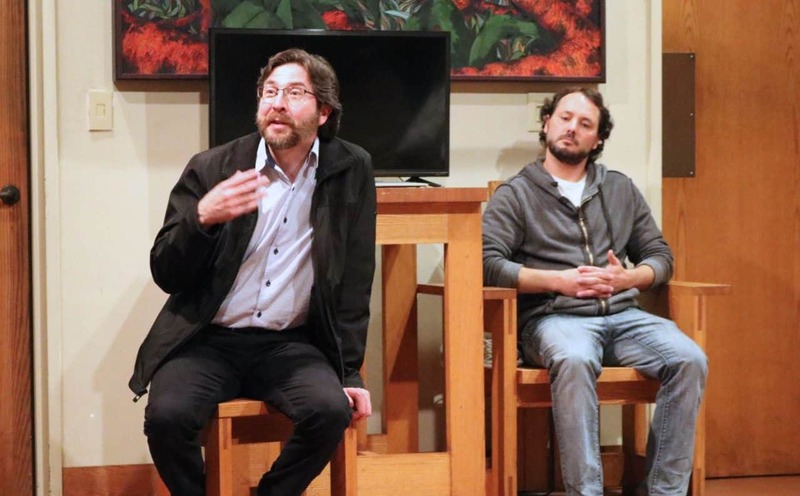 The group consisted of Rory McEntee, Netanel Miles, Swami Dhyanayogananda, Ven Pannavati, Greg Little, Adam Horowitz, Sr. Julie Walsh, and Deepa Gulrukh Patel. Together they represented the Hindu, Buddhist, Sufi, Jewish, and Christian faiths. 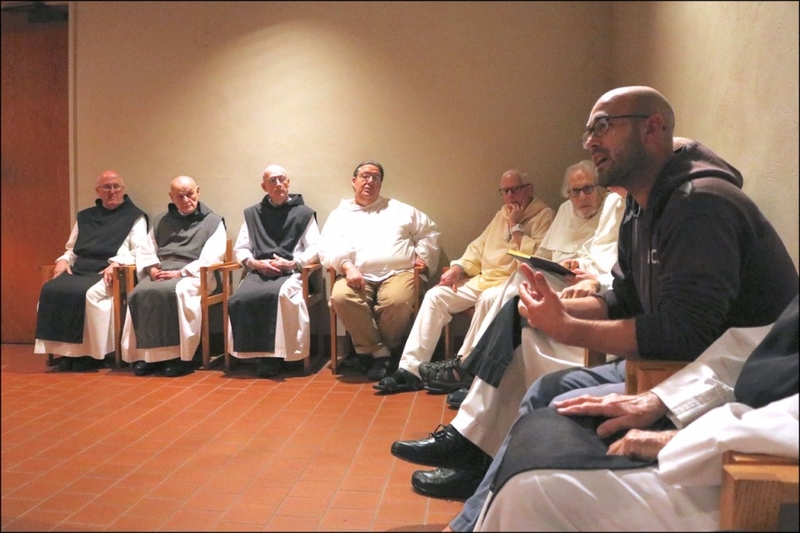 On Saturday, Oct. 27, the participants in the dialogue met with the monks of Mepkin in chapter to share some of the experiences they had since coming together. Rory McEntee, the convener of the group, opened the chapter by paying a warm tribute to his friend Father Thomas Keating, the famed monk from Snowmass who had initiated this kind of dialogue in 1984. 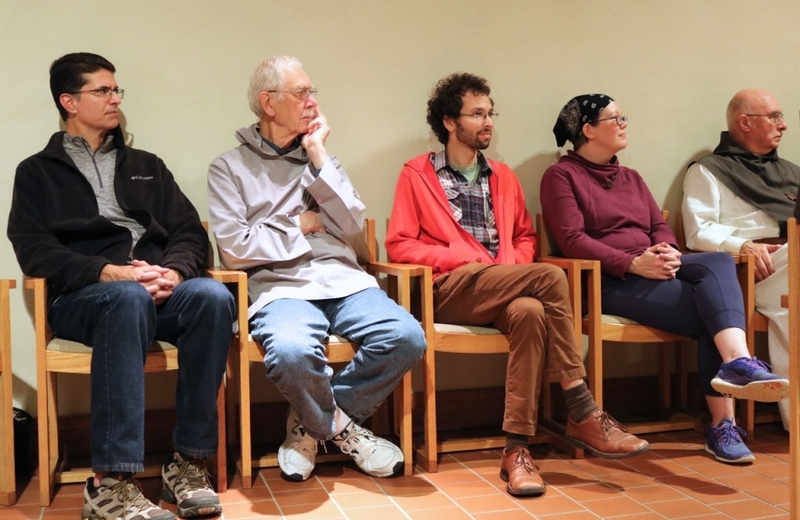 The meetings started out as get-togethers of those with a contemplative practice. These days at Mepkin are a continuation of this tradition. All the participants shared something of their own story. 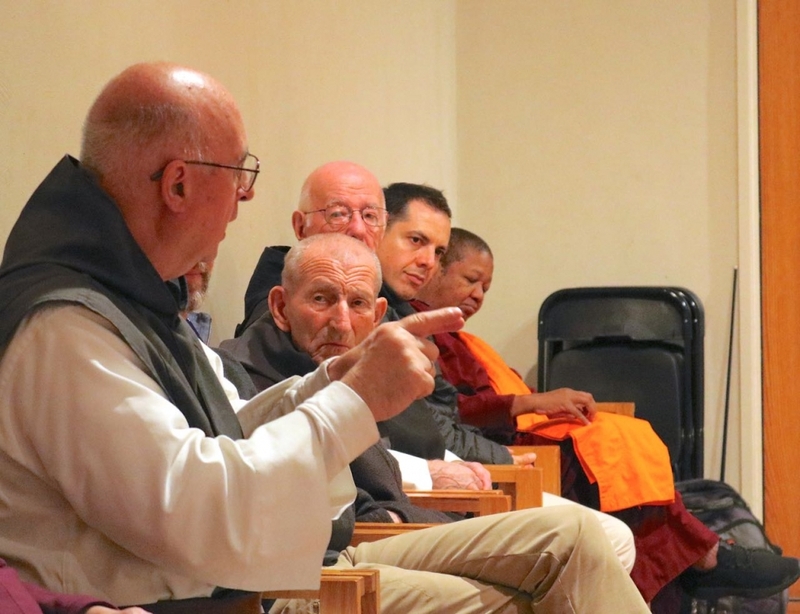 They explained that the dialogue on the New Monasticism involves looking at the contemplative practice with new eyes. 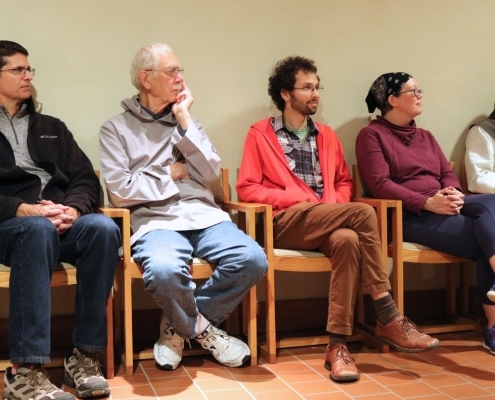 The time together was obviously one of listening, learning, and communicating. 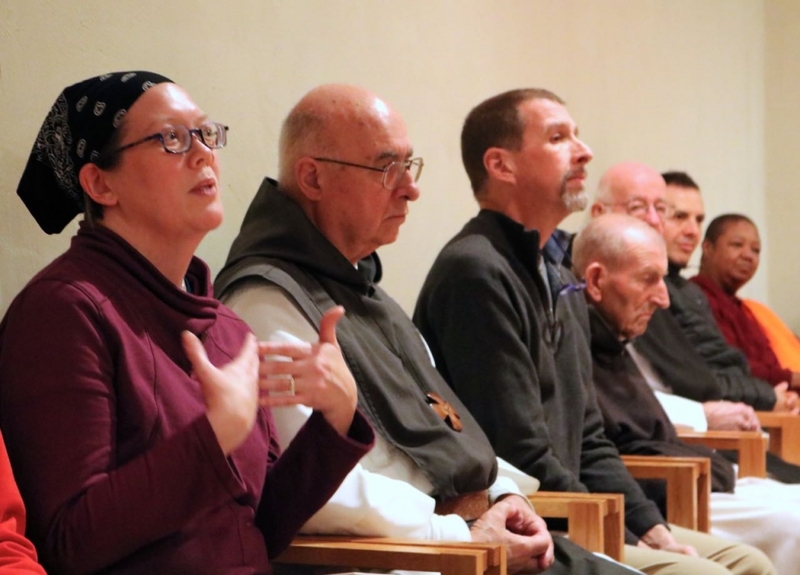 The different traditions may have their own characteristics, but they speak a common language when they share about contemplative practice. 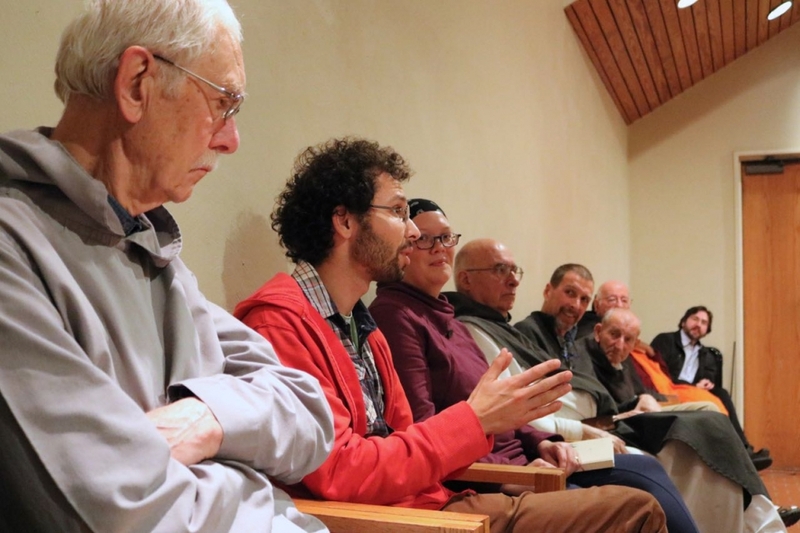 Many of them spoke of the solidarity which exists between the serious contemplatives of the world and of the sense of being at Mepkin as a kind of homecoming for many. The challenge of recognizing God in diversity means being grateful for the diversity, and having a tremendous respect for all kinds of differences. 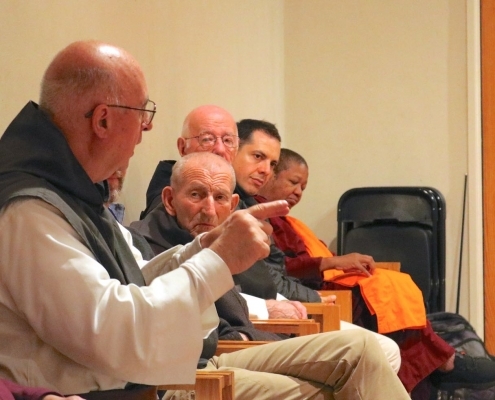 By listening to one another, the participants were clearly deeply moved, as were the monks in hearing their stories. Father Joe participated in the meetings along with Father Guerric, and he said that the days together were one inspiration after another. 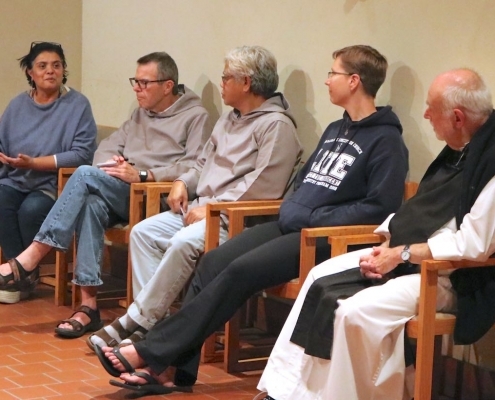 They were extraordinary stories of seeking God in contemplative life, which is a true gift to the world. 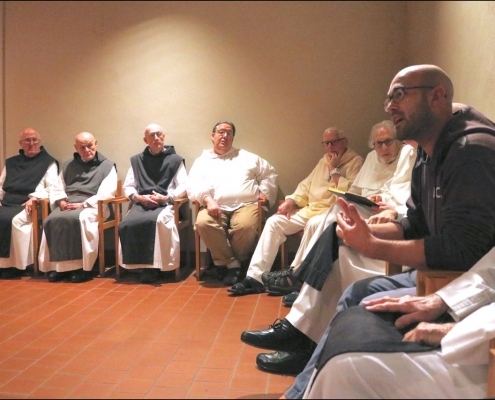 Father Joe felt that it encouraged the life of the monks at Mepkin. 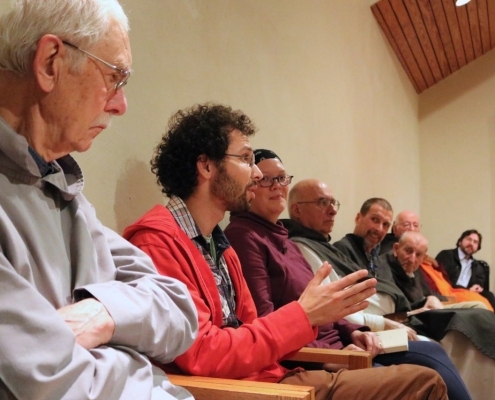 Father Guerric, as usual, succinctly summarized the value of the meetings. He was touched by the common language that we have when we come together. 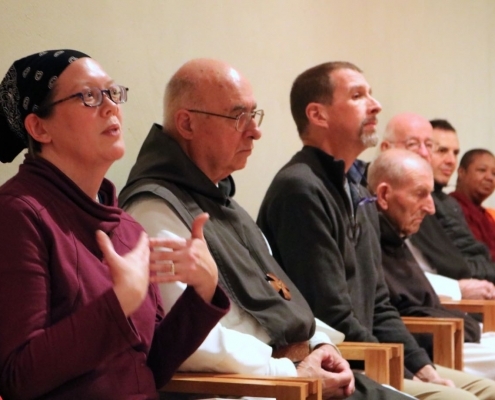 We discover that monasteries the world over have the same challenges and difficulties. 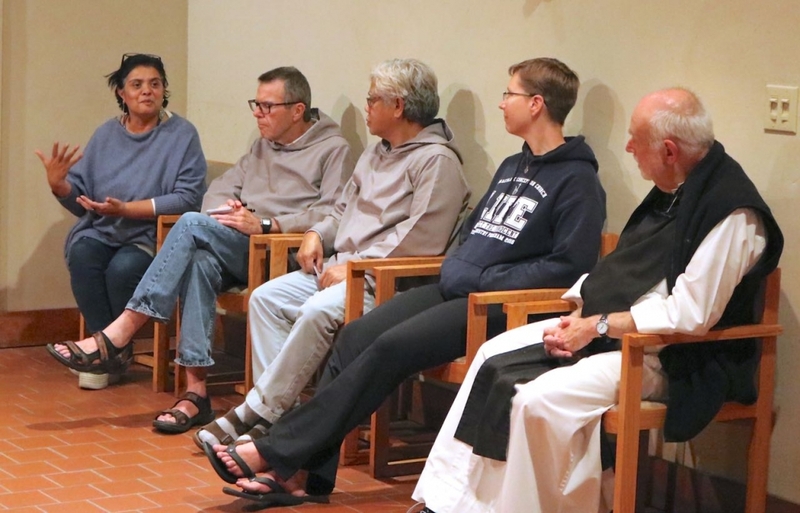 But he believes the future of monastic life lies in relationships which will carry us all into the future, rather than looking to a structure. Contemplative practice, he said, is not a spiritual Jacuzzi, but is there for the transformation of the world. 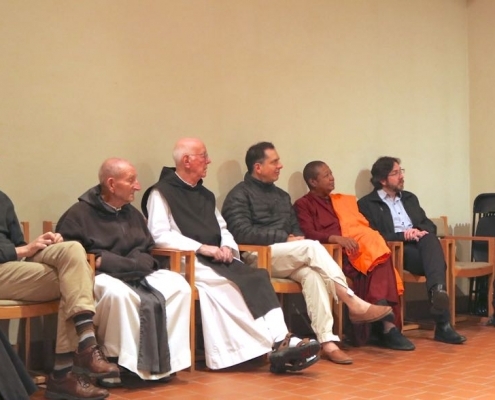 It is very clear from the short time that the monks spent listening to the participants that the work of transformation is challenging but very worthwhile and needed in a fragmented world.